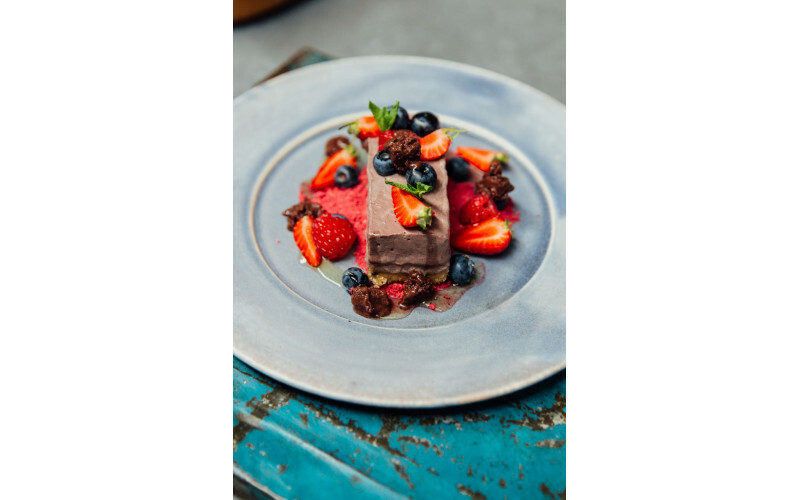 Award-winning brand Sambazon, has partnered with vegan chef and influencer Gaz Oakley, also known as the Avant-Garde Vegan, to create an irresistible Açaí cheesecake recipe that is delicious, nutritious and 100% vegan. Of the recipe, Gaz Oakley says: “As well as being a deep beautiful purple colour, the Açaí berry is so nutritious. It’s one of the only fruits on the planet to be naturally sugar free, packed with antioxidants, and full of healthy omegas 3-6-9, fibre and protein, which are all really important when eating a vegan diet.” Gaz Oakley is a vegan chef, author and social media sensation, with almost quarter of a million followers on Instagram and almost half a million followers on Youtube. First up, make the base. Add all of the ingredients to a blender and blitz until the mixture is smooth and starts to combine. Spoon & compress the mixture into your moulds or cake tin to around 1cm (1/3in) deep. Chill in the freezer while you make the filling. Grab two blender cups, and add half of the filling ingredients to each cup except the coconut oil (if you only have one cup set half the ingredients aside and do it separately). Blitz the mixture until smooth and creamy. Pour the mixture into your moulds/cake tin and place them into the freezer for at least 4 hours to set. Remove the cheesecake from the freezer 20 minutes before serving to give you time to decorate it and for it to soften slightly. A good way of getting the cheesecake out of the tin is to pour boiling water over a tea cloth and lay it around the cake tin/moulds for a few seconds, this will lightly melt the edges. Decorate the cheesecake with fresh berries, Sambazon frozen Açaí, and freeze dried berries.